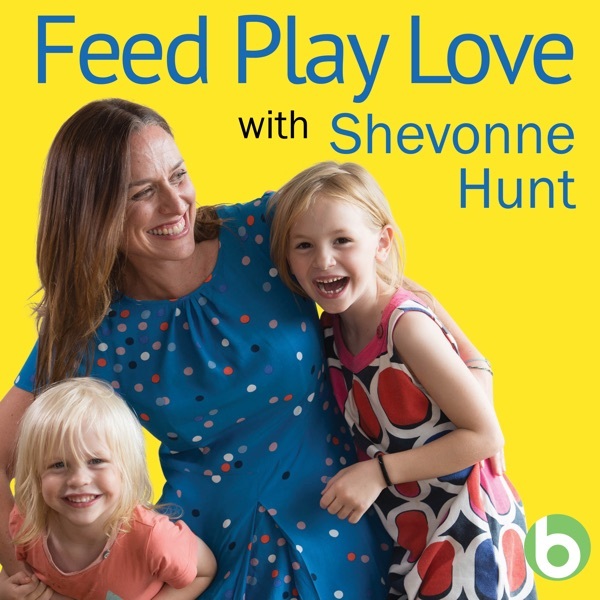 Feed Play Love | Listen Free on Castbox. From nurturing newborns to taming toddlers, we unravel the art and science of parenting with real-life stories and expert advice. The hilarious to the humbling and all the nitty gritty in between. Hosted by mum of two and journalist Shevonne Hunt. Senior Producer and editor is Elise Cooper. Professor Hannah Dahlen is a midwife, lecturer, international researcher and speaker. She believes that “the hand that rocks the cradle rules the world”. From her early life in Yemen, witnessing and aiding women in labour, to training in London (where her mum was one of the midwives later depicted in the BBC series Call the Midwife), Hannah explains how her passion for midwifery and women’s rights in birthing came to be. Anzac Day is a national public holiday where many families stop to commemorate fallen soldiers. So how do you explain what it all means to a young child? Emma Cox is a teacher-librarian. She tells us the best books she’s come across to help little minds get across some complex ideas. Here are Emma's top ideas for picture books for ages three to six: The ANZAC Tree by Catherine Booth, ANZAC Biscuits by Phil Cummings and Owen Swan, My Grandfather’s War by Glyn Harper and Jenny Cooper, Alfred’s War by Rachel Bin Sellah and Samantha Fry and ANZAC Ted by Belinda Landsberry. For older children: Lone Pine by Susie Brown, Margaret Warner and Sebastian Ciaffaglione, In Flanders Field by Norman Jorgensen and Brian Harrison-Lever. When you have a family, one parent often stays home. If that parent is no longer working, they can start to let their partner look after the finances. Georgina Dent is a finance journalist who is passionate about empowering women. As women are still overwhelmingly the stay-at-home carer for children, she says mums are more at risk of being financially vulnerable. Georgina explains how women can become more independent, even when they are not earning an income. Can you imagine how awful it would feel to have a cold and to not be able to complain? To feed when your nose is blocked, when drinking is your main sustenance? Babies must feel worse than a man with man flu when they have a cold! Dr Elysia Thornton-Benko explains how you can make babies feel more comfortable. Have you heard of the ‘fourth trimester'? It’s the idea that the three months after your baby is born, he's still in a very vulnerable and dependent state. He's not quite ready for the world and needs his mother constantly. Postpartum doula Karina Lane from Mum Friday says this is the time a postpartum doula is worth her weight in gold. While you concentrate on the baby, she helps to nurture you. Karina explains what a postpartum doula does, and how to check you’ve got a good one. Staying at home all day with a small child can make you hate the sight of your own four walls. If the floor is also littered with dirty clothes, toys and food detritus then chances are you crave a cleaner, tidier house. But not all partners see eye to eye when it comes to the level of cleanliness required for sanity. Ginny Lindsay, a psychotherapist at From 2 to 3 counselling explains how we can find domestic bliss through a bit of communication and compromise. Mothercraft Nurse Chris Minogue joins Shevonne Hunt to help parents with their babies. In this episode Chris explains how to toilet train a three-year-old, how to get a partying toddler to sleep, how to stop a 13-month-old from hitting, what to do with a 15-month-old who is waking, hysterical, in the night, how to elongate the cat-naps of a three-and-a-half-month old, helping a three-year-old to ditch the dummy and helping a six-month-old who hates the car. How do you find a language to speak about the deepest loss? Mother Jenny McGregor’s son Jamie died when he was only 16 months old. Through the support of Red Nose Australia (rednose.com.au) Jenny found that music and song helped her to deal with her grief. Now she’s trying to get the album she made out to other bereaved parents. You can find the album at jennymcgregor.com.au She talks about the best way to support another parent who has lost a child, and how music helped her get through the hardest time of her life. When you have a baby or small children, many of life’s stressors seem to collide. Often there will be financial stress, as one parent takes time off work. There can be relationship stress as you work out your place in the new family structure. And then, of course, there’s baby-won’t-stop-crying stress. Matthew Johnstone and Dr Michael Player have produced a book called Stress Less, Proven methods to reduce stress, manage anxiety and lift your mood. They give some quick tips to help parents cool down when things are heating up. You can get a copy of their book at all good bookstores or online at Angus & Robertson and search "Stress Less". While many of us are already thinking of hiding spots for excess chocolate, Life Education is reminding parents to keep children on a teeth-cleaning regime. They have found that more than half of Australia’s kids aren’t cleaning their teeth twice a day, and that many fall off the cart during school holidays. Kellie Sloane from Life Education (lifeeducation.org.au) takes us through the secret squirrel ways children are avoiding cleaning their teeth, and gives us some tricks to get them brushing better.